Wow great 4 bedroom 3.5 bathroom two-story home with fully finished basement in the beautiful McFarland Farms! 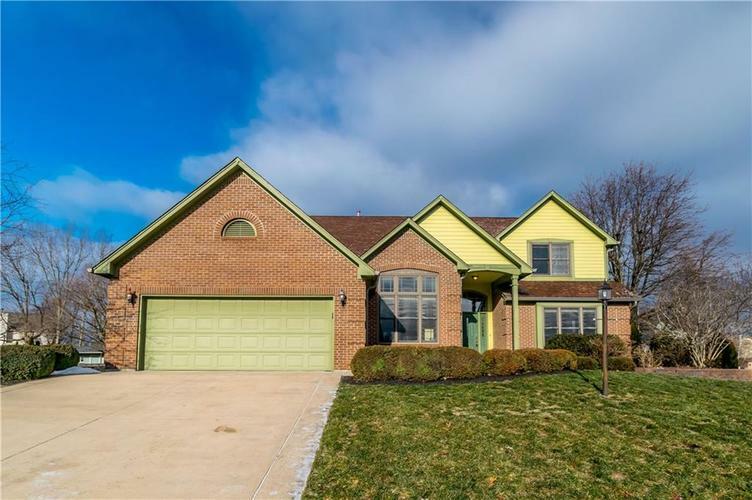 Home features a large kitchen with breakfast room, office with built in bookshelves, amazing two-story foyer, beautiful fireplace, master bedroom with vaulted ceilings and walk-in closet, large garden tub in master bath, and so much more!!! The finished basement has tons of extra space to fit any needs and has just been fully re-painted and has all new flooring. This home has tons of room and is in great shape don't miss this opportunity! Directions:From Emerson and Stop 11 go west on Stop 11 to Santolina Drive. North (right) on Santolina Drive. Follow curve around to Pennyroyal Lane. House is on the corner.